In July 2017 Bristol's Grade One listed New Room, dating from 1739, the oldest Methodist building in the world, opened its multi million pound three storey extension. Earlier this year the club was approached by David Worthington, director of The New Room to ask if, with some urgency, we could produce a film for them to promote a new interactive museum which has been created within twelve rooms above John Wesley's Chapel. The museum tells the story of John and Charles Wesley, eighteenth-century Methodism and its relevance today. 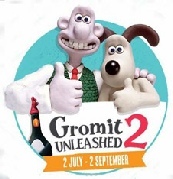 With a tight deadline of early summer I undertook to make the film and, with assistance from Gordon Young, filming began in April. Within a week or so of the first filming session David asked if any of the footage could be made into a short, attention grabbing film showing every aspect of the building. 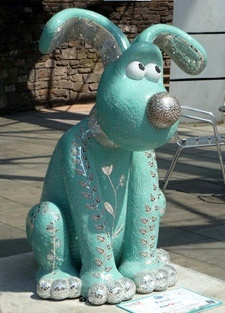 This would be used in connection with The Grand Appeal's Gromit Unleashed 2 Trail which was starting on July 2nd to raise money for Bristol Royal Hospital for Children. 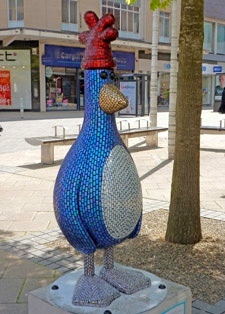 That film was turned around in two weeks and can now be viewed on mobile devices until September 2nd via the downloadable Gromit Unleashed app at Gromit and Feathers McGraw giant sculptures located near to The New Room in Bristol's Broadmead area. The original museum film has also now been completed and will play as a five minute continuous 'loop' to be seen by The New Room's many visitors from all over the world. It has been a busy couple of months with two films being shot, edited and delivered on time: very rewarding though when you are working on something worthwhile for very appreciative people.